Cambridge University Press has reversed a decision to censor hundreds of articles at the request of the Chinese government after a backlash from academics and activists. The university press, which describes itself as the oldest publishing house in the world, had admitted to blocking online access in China to academic works on Tiananmen Square, the Cultural Revolution and Tibet. The University of Cambridge said in a statement on Monday that its academic leadership and the publisher had agreed to reinstate the blocked content "with immediate effect" to "uphold the principle of academic freedom." The censored academic articles appeared in the highly regarded journal China Quarterly. Its editor, Tim Pringle, said the reversal followed a "justifiably intense reaction from the global academic community and beyond." "Access to published materials of the highest quality is a core component of scholarly research," he said in a statement on Monday. "It is not the role of respected global publishing houses ... to hinder such access." The decision to censor the articles drew condemnation from academics around the world. It represented "a craven, shameful and destructive concession" to the Chinese government's "growing censorship regime," Georgetown University professor James Millward wrote in an open letter published over the weekend. By Monday, an online petition threatening a boycott of the publisher and its journals had gathered hundreds of signatures. The not-for-profit publisher had defended its action as necessary to ensure that China doesn't block "entire collections of content." It said it would never proactively censor its own content. But many prominent academics blasted the move. "Chinese students and scholars reading a censored version of The China Quarterly will encounter only historical facts and scholarly analyses approved by political authorities," Greg Distelhorst of MIT and Jessica Chen Weiss of Cornell wrote in a letter to Cambridge University Press. "This censored history of China will literally bear the seal of Cambridge University," they said. The Cambridge press, which has been operating since the reign of Queen Elizabeth I in the 16th century, has run into a challenge faced by other global publishers: obey China's censors or be locked out of its giant market. Foreign authors who wish to publish books in China must allow their works to be altered by censors. 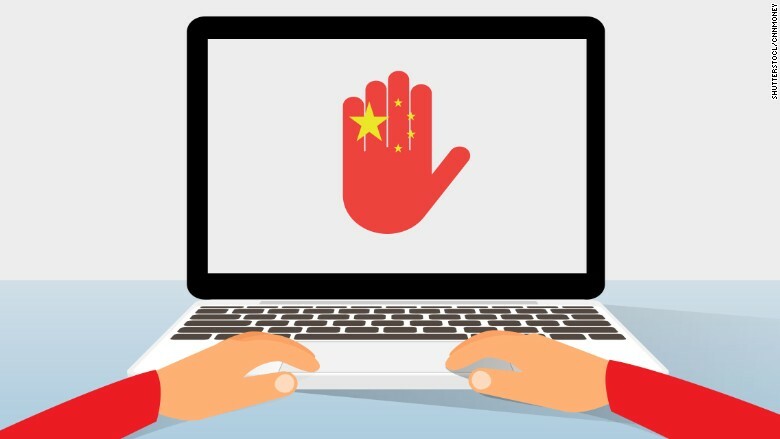 Top news organizations like The New York Times have had their websites blocked in China for years after publishing articles that upset the ruling Communist Party. "Western institutions have the freedom to choose," said an English-language opinion article published Sunday by Global Times, a provocative but state-sanctioned Chinese tabloid. "If they don't like the Chinese way, they can stop engaging with us. If they think China's internet market is so important that they can't miss out, they need to respect Chinese law and adapt to the Chinese way." China's General Administration of Press and Publication, a regulatory body, didn't respond to requests for comment Monday. Submitting to Beijing's demands was "a misguided, if understandable, economic decision that does harm to the Press' reputation and integrity," said Jonathan Sullivan, director of the China Policy Institute at the University of Nottingham. "This is not the first time Beijing has leveraged the economic power of the Chinese market for political gains," he wrote in a blog post. "The fear is that it won't be the last time that Western academia is the target." -- Serena Dong contributed to this report.